Platinum Games has publically made a case for the Wonderful 101 to appear on the Nintendo Switch. The Wonderful 101 was a weird title. Coming from Platinum Games, it’s not like most of the developer’s output. The studio is known for some stunning third-person action experiences, from Vanquish to Bayonetta, it’s a genre Platinum has a strong grasp on. Wonderful 101 was different. 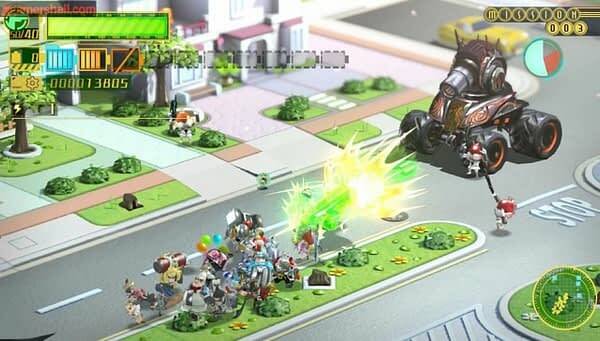 An isometric action-adventure that had you controlling a whole host of superhero characters at once, not many people knew quite what to make of it and it didn’t do so well when it released on the Wii U.
It’s not clear if this port is going to be happening or not, but it certainly means something that Kamiya is floating the idea in a public forum. It’s bound to show Nintendo what the desire for the port is and might make or break if it goes forward or not. We will have to wait and see if it worked.